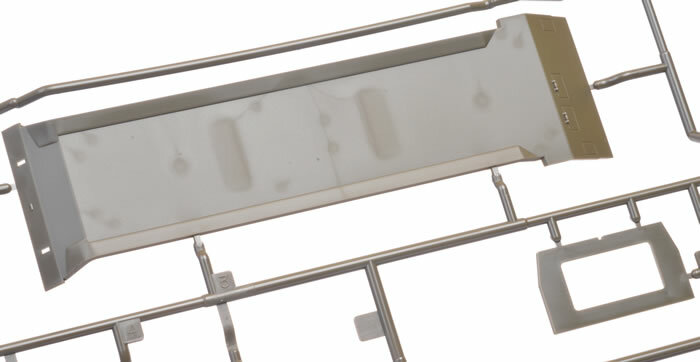 Media and Contents: 166 plastic parts in olive coloured plastic;three steel ingots; four polythene caps; markings for two vehicles. 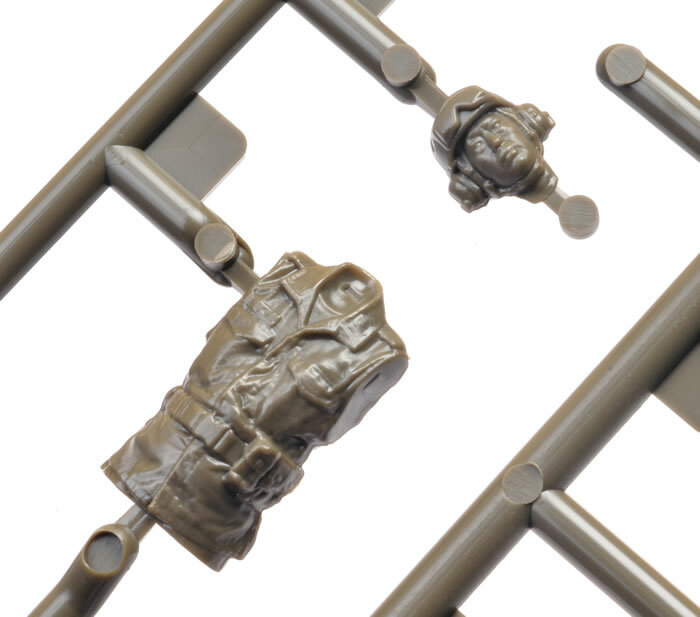 Advantages: Straightforward build; interesting subject; superb surface textures; high level of detail; excellent fit; includes one crew figure. 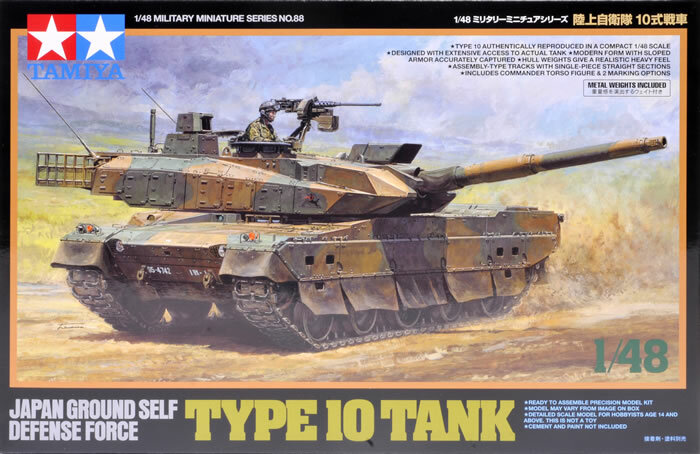 The Type 10 is a Fourth Generation Japanese main battle tank designed as a replacement for the recently retired Type 74 and the currently serving Type 90 tanks. Development of the new vehicle commenced in 1996. 13 Type 10s were delivered in 2010, followed by another 13 each in 2011 and 2012. As at early 2016, around 70 tanks are in service. 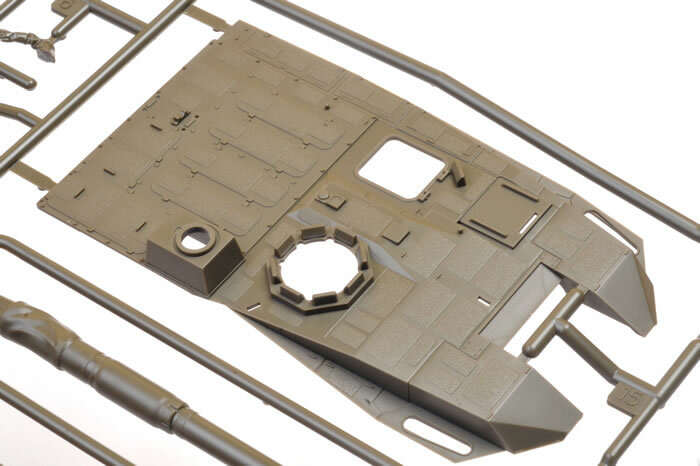 Tamiya were quick off the mark with their 1:35 scale Type 10 tank back in 2013. 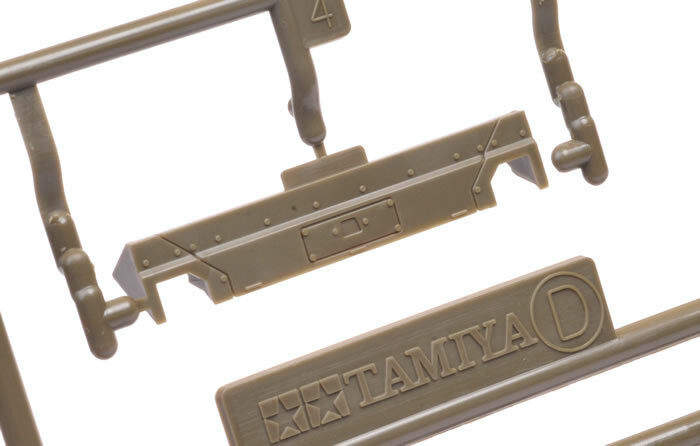 Now, three years later, a 1:48 scale kit joins Tamiya's Military Miniature Series. 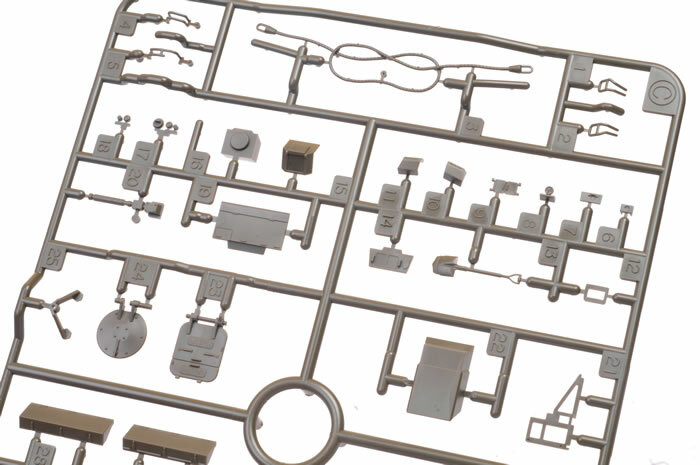 The kit comprises a 166 parts in olive coloured plastic, three steel ingots, four small polythene caps, plus markings for two vehicles. 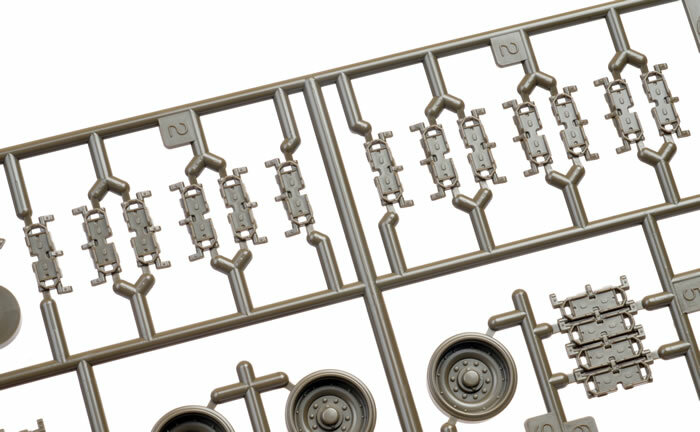 In common with its 1:35 scale predecessor, the surface textures on this kit are simply superb. The hull and turret are covered with anti-skid patches, hatches, hinges and tie-downs, all beautifully done. 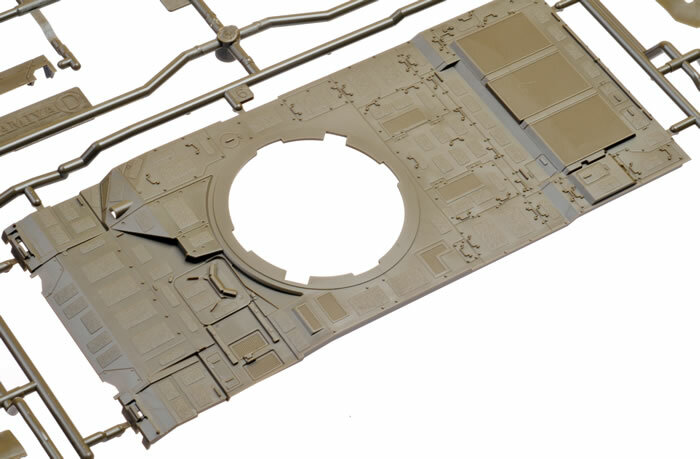 The lower hull, upper hull and turret are all made up from separate panels for the top, bottom and sides as applicable. 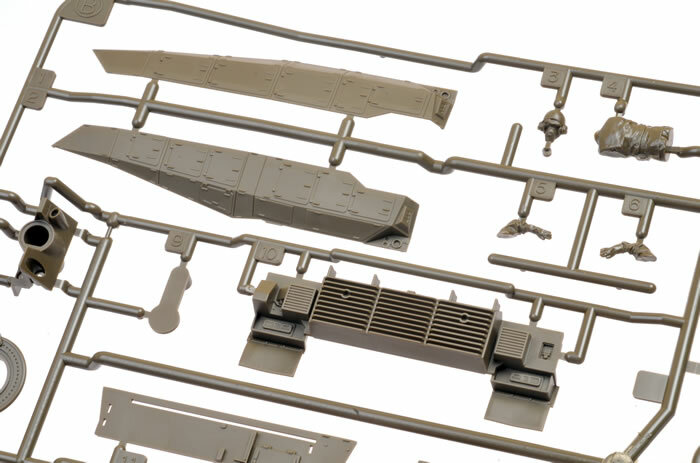 The heavy skirts are also noteworthy, featuring some of the most convincing rubberised drape that I have ever seen in 1:48 scale injection-moulded plastic. 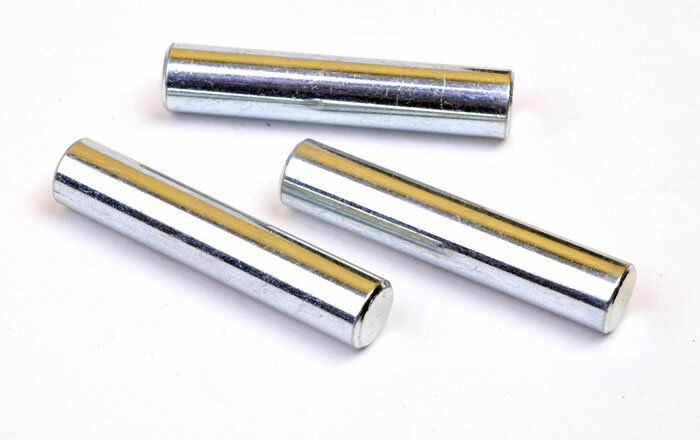 Three cylindrical steel ingots are included for fitting in the lower hull. 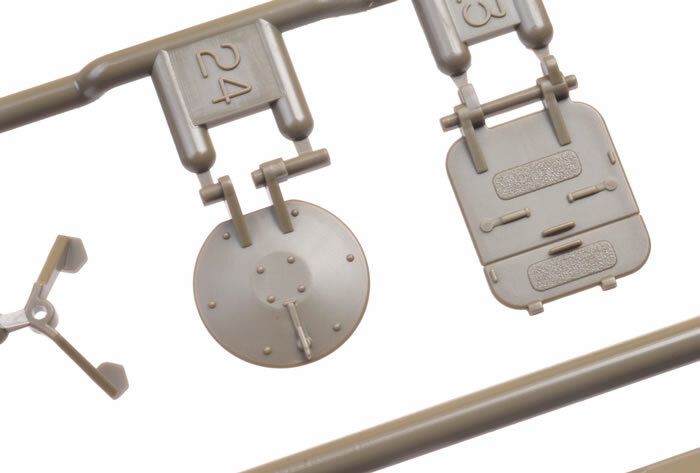 These are optional, and intended to deliver "scale weight". 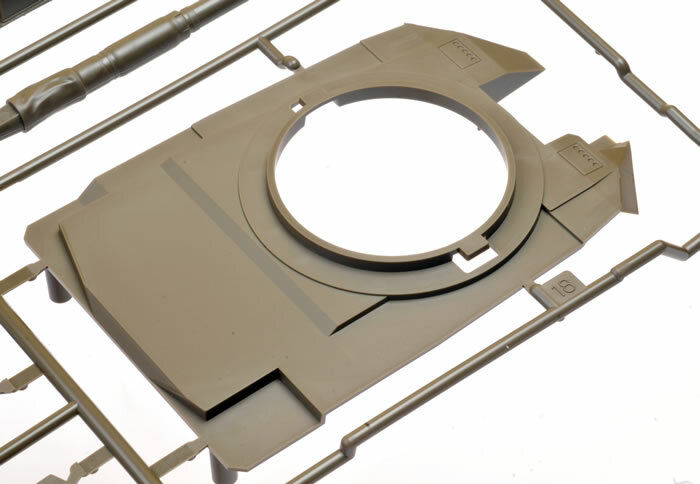 All the unique attributes of the Type 10 are present, including the armoured external Commander’s and gunner’s sight. 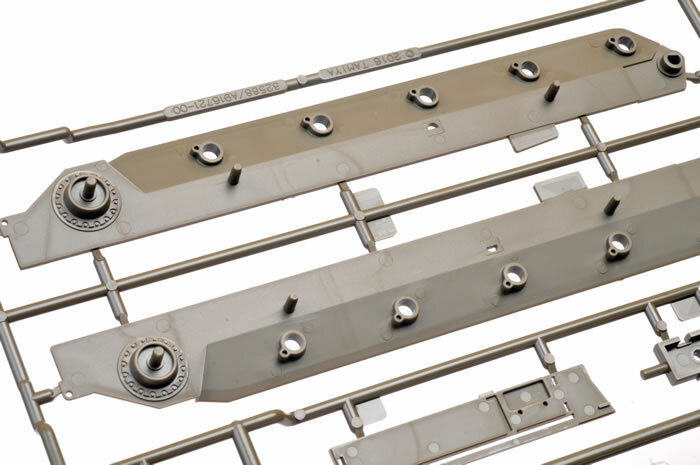 The swing arms are separate and keyed via a small second locating pin. 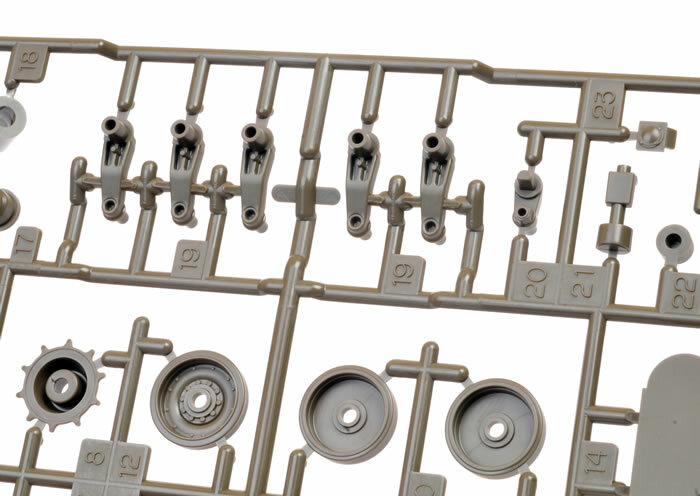 The road wheels are simply glued to the swing arm axles. 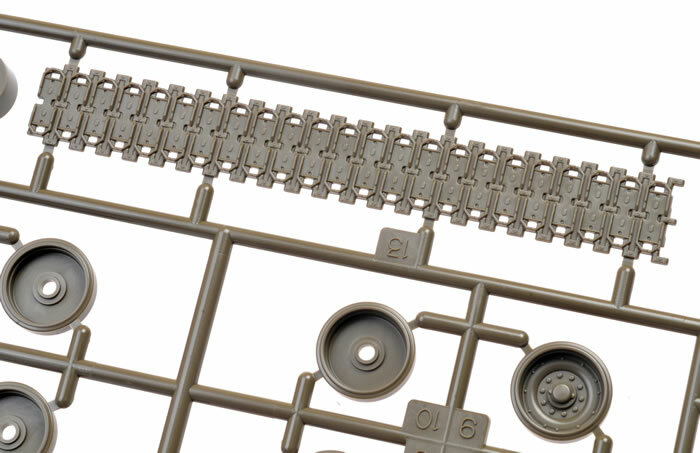 This time around the tracks are injection moulded plastic lengths and links. 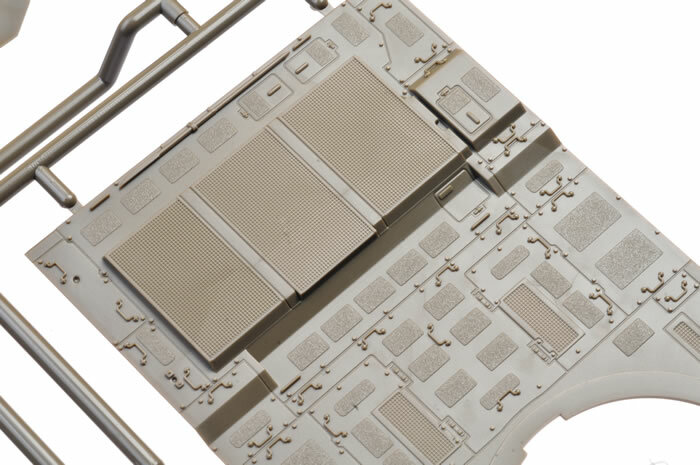 Detail looks excellent and with the straight top run, assembly should be straightforward. 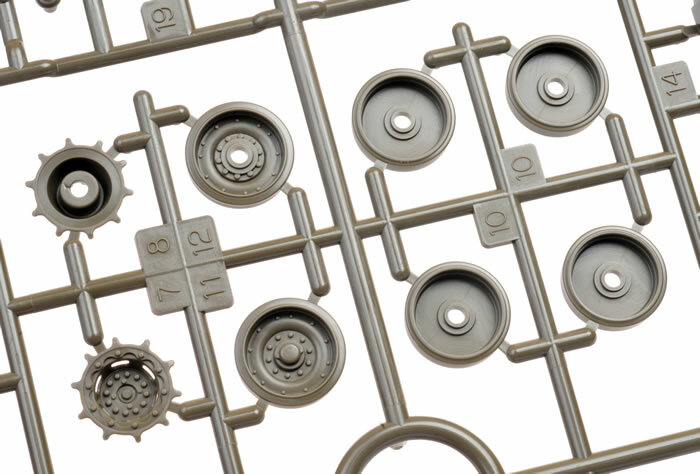 The drive sprockets and gun barrel are fitted via poly caps, allowing these parts to be moveable after assembly. 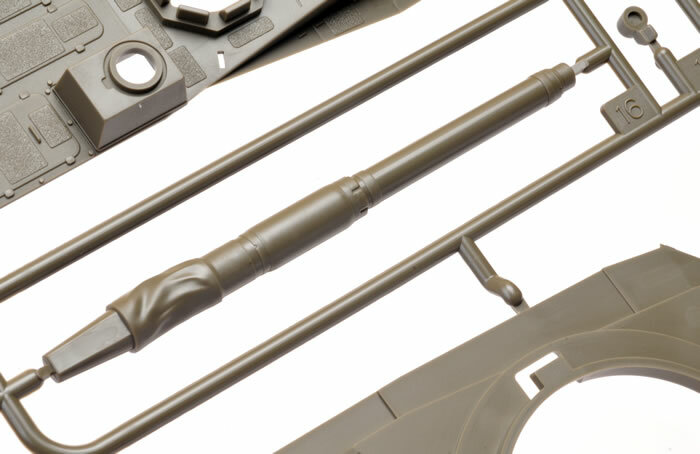 The main gun barrel is a single piece with a separate muzzle. 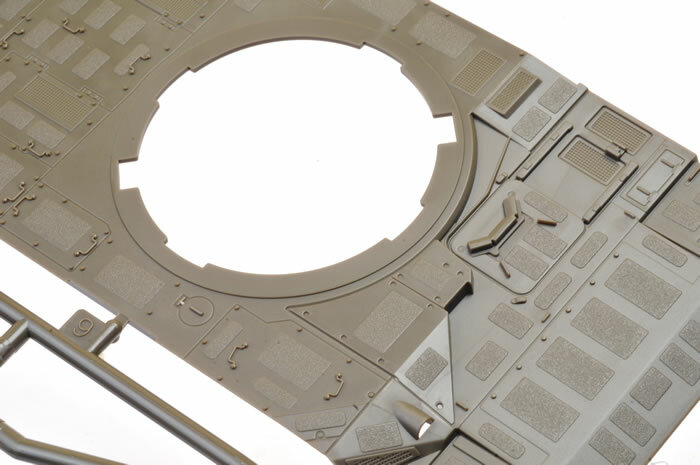 The Commander’s hatch is a separate parts and may be posed open to fit the included (and very nicely detailed) Commander figure. The headlights have solid (i.e. not clear plastic) lenses. 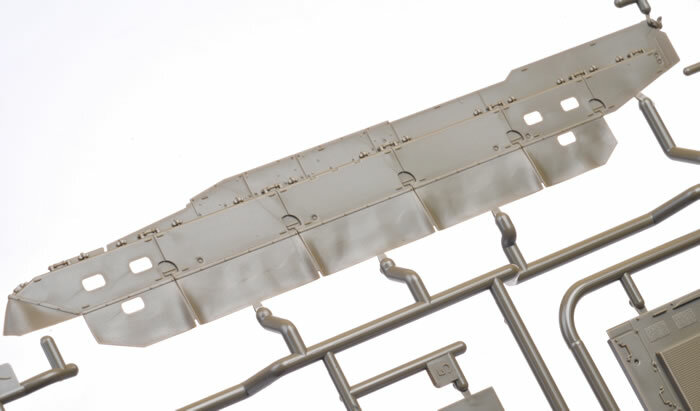 However, these are recessed into the front hull, so they pretty well hidden anyway. 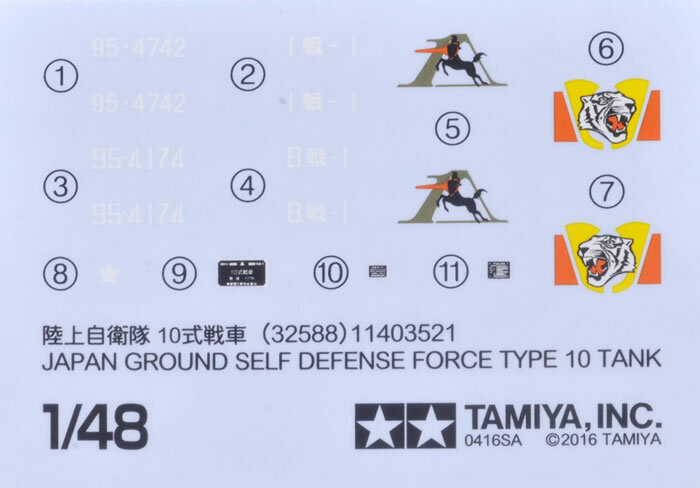 Markings are supplied for two vehicles. 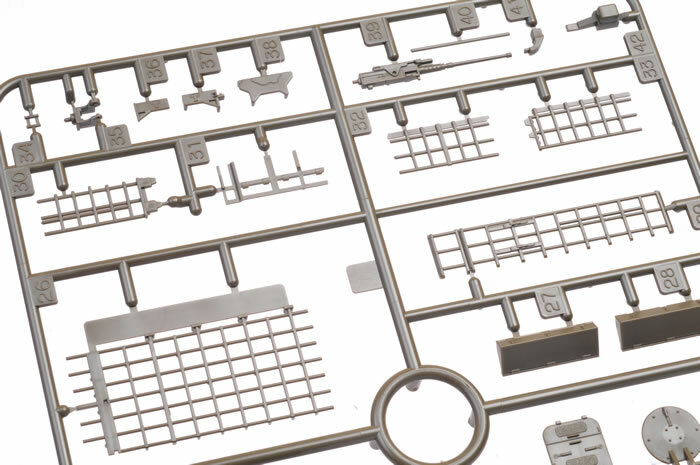 Tamiya has delivered another state-of-the-art kit with its 1:48 scale Type 10, and has further refined their design philosophy of high levels of detail, superb surface textures and modeller-friendly parts breakdown.